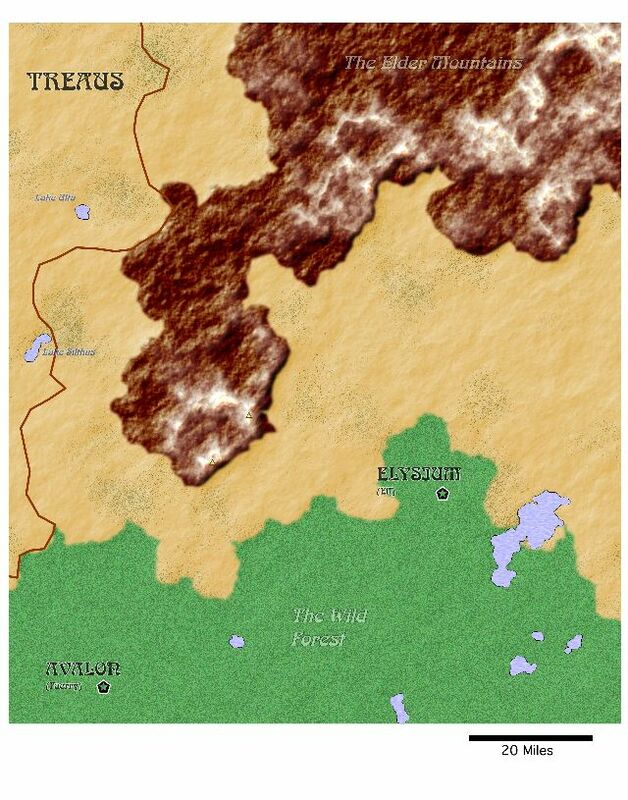 The following maps detail the area of the Elder Mountains and the Wild Forest close to Kril Shrandor and Avalon. 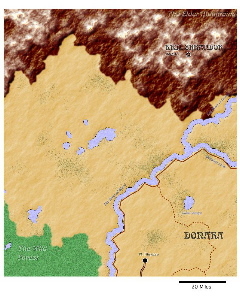 The green "scruff" on the hills terrain indicates rough hills...this could be taken as areas of lots of undergrowth or more heavily wooded than open hill terrain. The embedded lakes are obviously "non-canon". Not all the lakes are named. Since most of them are in unclaimed (by humans) territory they have no names. Likewise for the mountain peaks in the area.